We have been Palo Alto’s foremost commercial kitchen, restaurant and industrial fire system supplier for more than 40 years. In addition to complete industrial fire systems, we work with the complete range of fire protection and kitchen fire suppression equipment, sprinklers, portable fire extinguishers and cabinets. We also have the area’s finest grease exhaust cleaning services and grease filter exchange. Never leave exhaust cleaning to amateurs! AAA Fire Protection Services never installs a system that is anything less than the best. We are dedicated to the highest levels of ethics and customer service and have numerous testimonials and endorsements on file. As a family-owned company we understand we have an obligation to the well-being of our Palo Alto customers and their employees. In the time we have been in business, we have provided fire protection for thousands of commercial kitchens, restaurants and industrial clients throughout Northern California. 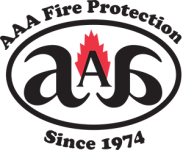 Whether you own a restaurant or a food processing or are an industrial client, the pledge of AAA Fire Protection Services is to always to help you ensure the safety of your Palo Alto facility. Contact us for a free fire suppression and protection quote on any of our products or services.